Making fresh green juices at home is a great way to get revitalising goodness into you first thing in the morning. However, home juicers can be expensive, messy to clean and difficult to use. If you have been considering purchasing a juicer but have been put off by their high prices and complexities (we know we have), we’ve spotted that Lidl stores nationwide are going to have this budget slow juicer for the next week or two. With all the parts dishwasher-friendly and easy assembly, it looks like it could be a wallet-friendly purchase at only €69.99, including a three-year warranty. We also found this review of the juicer on YouTube (it’s in German with English subtitles), which might help you decide if it’s right for you. This slow juicer will be available in Lidl stores across Ireland from Monday 4 June. 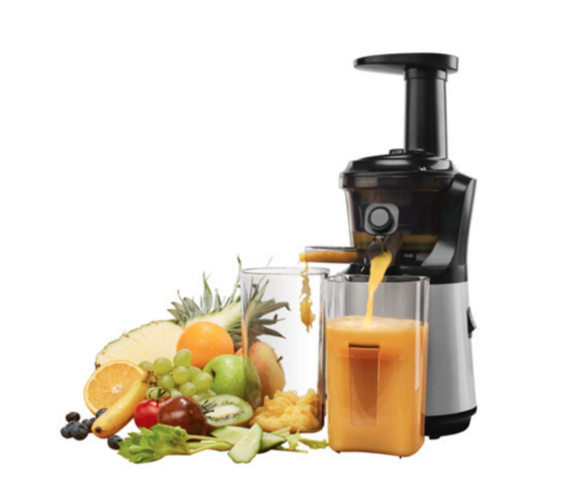 We have previously written on Happy Magazine about the benefits of juicing and also the GreenValu Juicer (the best-priced juicer we’d seen until this one) if you’re interested. If smoothies are more your style, we also spotted this budget blender at Lidl for only €29.99 and it’s available right now. 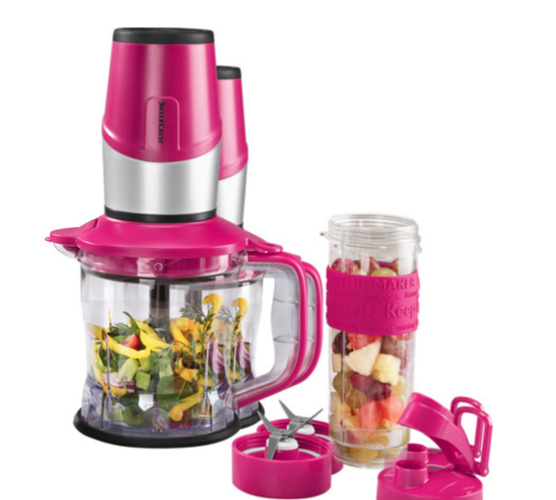 It includes a smoothie attachment with lid for taking your smoothie on-the-go and it’s strong stainless steel blades are ready to tackle even frozen fruit and ice. If this hot pink is not your colour, it’s available in grey too. We’ve got a great recipe for an energy-boosting green smoothie here if you’re interested. With summer here at last, now could be the perfect time to make a small investment in one of these kitchen gadgets! Please do let us know in the comments if you decide to purchase either one, we’d love to hear how you get on with them.